Sleep trackers have slowly began to offer a window into our nighttime hours, giving us insights into different stages and helping us spot trends in our sleeping pattern. What was once a mystery can now be quantified, and this information can even be used to help form a wider picture of our overall health. But despite this being an area of wearables that's ever-growing, there's a big part of the night currently neglected by technology – dreaming. We're not yet at the stage where regular wearables can induce vivid dreams on request, or even track when we have them accurately, but one Swiss startup, InstaDreamer, is looking to tap into the potential of the mind and help users learn how to take control of their dreams. Now, if you're trying to remember those long-lost theories on lucid dreaming from your high school psychology classes, or just what Leonardo Di Caprio was talking about in Inception, you're on the right track. But here's a quick refresher, so you're clear: a lucid dream is a one whereby a person is aware that they are dreaming, and once they become aware, they're able to form some control over the nature of the dream. That means characters, scenarios and pretty much everything else can be tapped into and altered. 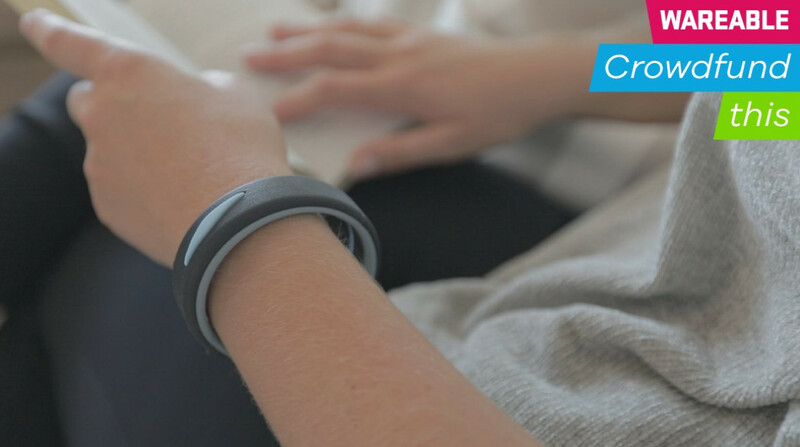 Starting out on Kickstarter for $200, the InstaDreamer is a wearable bracelet that looks to aid users in the quest to learn how to lucid dream. Through Pavlovian conditioning, involving subtle vibrations on the wrist, the device is able to train users to perform 'reality checks' - a self-awareness technique to help train the mind to realise its conscious state - as well as tracking overall sleep. "I’ve been practicing hypnosis for around ten years now, and it all started because I was first interested in lucid dreaming," InstaDreamer inventor Jean Rausis tells us. "It’s something that’s not very easy to do – there’s a lot of scientific studies to back that up – and people don’t necessarily understand that they have this power to control their dreams. People get all excited about virtual reality, and things like this, but what you can see through lucid dreaming is another experience altogether. "There’s been plenty of devices that have claimed to help you lucid dream, but none of them have worked. And after using a few I realised that the problem was always that the wearables were trying to replace the training you’re supposed to have, and the habit forming and the reality checking. "I discovered after a few years of developing techniques and sharing them through my YouTube channel and forums that they had been successful with people. And so from there I knew that if you wanted a device to help you learn how to lucid dream, it had to be one that could assist it, not replace the process. Our device just reminds you to perform your reality checks, and you learn a strong association and conditioning with the buzz of your wrist," he continued. By his own admission, Rausis says that describing lucid dreaming to the uninitiated can often sound like a superpower, or something out of The Matrix. It's what often makes the skill feel unattainable. But with the InstaDreamer, the founder likens the conditioning the brain undergoes as akin to any other muscle. During the day, the user can set how often they want to receive vibrations and reminders to perform a reality check. Since they're not in a dream, nothing happens here but simple, classic conditioning. Then, during the night, the device is able to use its built-in heart rate monitor, accelerometer and temperature sensor to detect when you're in REM sleep, and vibrate to help trigger a lucid dream. In this instance, since you are in a dream, the subconscious mind is able to identify this and take control, allowing you to experience whatever you choose. It all sounds a little too good to be true, right? But Rausis says that the company's testing saw over 70% of wearers experience a lucid dream within three days of use. "It’s a niche area, definitely. But even though we’ve seen many, quite frankly, poor devices raise millions of dollars, I think if something really worked and helped people to realise this is something they can do, maybe it wouldn’t be so niche," he tells us. "And why wouldn't you want to? The benefits are great. You can start practicing skills and facing fears, because of the muscle memory. Take football, for example – your brain is perfectly capable of emulating the same physics of the ball and a kick from the real world in a dream. And it’s not just skills you can develop, either. Maybe if you have a fear of talking in front of people, this is something you can create in your dream. It’s like a sandbox universe. "And people are always sceptical about lucid dreaming, because it is a rare skill, and it does sound a bit supernatural. But, of course, there's no question you can control what you see in your dreams – the only question is how good you are at doing it," he tells us. After surpassing its goal through Kickstarter, InstaDreamer is well on its way to helping people around the globe take control of their dreams. But should you consider investing yourself? InstaDreamer's shipping date is scheduled for February 2019, and Rausis indicates that plenty of work is still left to do before the device is ready to ship. While the crux of the device is in place, the team still needs to flesh out the final design, though it will, of course, look like the prototype in the images above. On the software side, it also needs to work out some technical issues with the temperature and heart rate monitoring working in conjunction with each other. However, with backing from a Swiss government initiative and a team of engineers set to propel the device's production forward, Rausis is confident the team will be able to deliver the InstaDreamer in time for launch. And, while only targeting a small area of the crowdfunding community, this is a project that does appear capable of helping people learn the art of lucid dreaming, and it's produced by a team that clearly wants to right the wrongs of similar wearables before it that overpromised and underdelivered. There's no guarantee the InstaDreamer can turn you into a lucid dreamer, but if you're serious about learning the skill and are looking for wearable assistance, this is one campaign that's worth a deeper inspection. We can't wait to try it out for ourselves.